As Canada plans to bump up its quota to allow increased immigration and excited Indians look to migrate, it may be prudent to board the flight with your eyes wide open. A generous dose of reality to temper your expectations of a great new life in a foreign land will help you avoid disappointment. 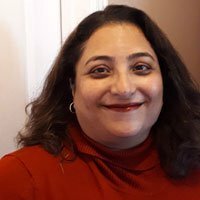 Last fortnight, my column drew attention to job market barriers for professional immigrants, which included an unconscious racial bias towards newcomers, ignorance, stereotypes about immigrants and the demand for ‘Canadian experience’ even in unregulated fields such as IT or marketing, which was most frustrating for these professionals. Given the huge response from readers, I have attempted to delve deeper into issues faced by immigrants who are in regulated professions. In 2013, the Ontario Human Rights Commission said the strict requirement for "Canadian experience" demanded by many employers and some regulators is prima facie discrimination—and can only be sought in very limited circumstances. Employers could neither advertise nor ask for this from newcomers. In reality, it is still used by many employers to 'filter out' international professional candidates on the very same basis. That Canada generously allows so many professionals to make a life here, without a job in hand, is a great plus for aspiring migrants. But if you belong to the ‘regulated’ field, you have to be ‘technically fit’ to practice your profession in this country. In Canadian parlance, it means that unless one secures an equivalency certification, or licence, or fulfills any other mandatory stipulation by Canada's regulated professional bodies, one cannot practice here. Attaining that goal requires time, money, patience, lots of perseverance (years in some cases), and a fair bit of re-training or ‘going back to school.’ All this is expected from overseas professionals, in an effort to get them ‘at par’ with Canadian standards. In addition to licences and certifications, some regulators could also ask for ‘Canadian experience’. This requirement can be fulfilled either through apprenticeship programs, or through bridging programs that are run by colleges or universities here. Many Indians who have migrated to Canada are engineers, lawyers, teachers, pharmacists, chartered accountants, physiotherapists or dental surgeons—all of them have to go through the process above, to practice their respective professions. The rules for working in healthcare and medicine are especially time-consuming. Sunaina Bhatia, a dentist who migrated from Delhi to Toronto after marriage says she has to clear three equivalency exams conducted by the National Dental Examining Board of Canada (NDEB). 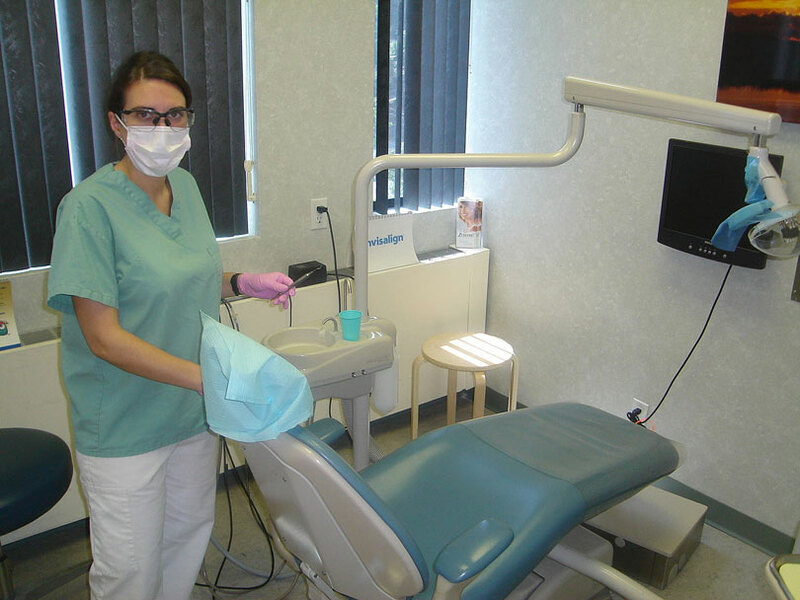 This will take her at least two years, after which she can then apply to the Royal College of Dental Surgeons of Ontario (RCDSO), the regulatory body governing dentistry, to obtain her licence to practice in Ontario. Ms Bhatia has already cleared one exam. She has decided to take the written exam route, which will cost her a minimum of CDN $12,000. After accounting for study material and other costs, it will set her back by CDN $25,000. But this is better than spending about CDN $200,000 to complete an accredited university qualifying and degree completion programme of two years, after which she would need to write the NDEB exams, and on clearing those, apply for a licence from the RCDSO. Ms Bhatia says the teaching style in Canada is very different and she has learnt "many great lessons in ethics as well as a greater emphasis on safety out here." However, she believes that those courses can be compressed into a “one-year-course, instead of this arduous process" she has had to follow. "A tooth is a tooth and a nerve is a nerve, and while I practised for a short time, I have people in my class (in Canada) who were dentists in Dubai and around the world for 16 years. It is a waste for those dentists who've spent decades doing just that (dentistry) overseas." But this is just the way it is in Canada. Students from overseas can take any of these two routes if their university is not accredited. The idea is to get students from abroad to go through a similar set of exams and procedures that a Canadian dentist would have to go through. Kevin Marsh, director of communications at the RCDSO explains that only graduates of accredited dental programs in Canada, the US, Australia, New Zealand and Ireland can apply directly to take Canada's NDEB exams. Australia, New Zealand and Ireland had specific dates in 2010, 2011 and 2012 when these accreditations took effect. Accreditation is a peer reviewed process that measures education programs, utilizing predetermined criteria, including competency to be a dental practitioner in Canada. But sometimes the Canadians may have reason to worry. Last week, a report in the Canadian media said that the NDEB was looking into the certifications of some Indian students from Magadh University. Over the years, Canadian labour market studies have exposed the dismal performance of newcomers to this country. It led to public pressure and discussion. Following all-party support, Ontario passed the Fair Access to Regulated Professions Act, 2006 (FARPA). 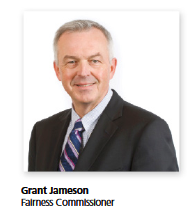 It also set up the Office of the Fairness Commissioner (OFC) in 2007 to deal with some of these issues. In a study titled Academic Requirements and Acceptable Alternatives: Challenges and Opportunities for the Regulated Professions in Ontario, Jean Augustine, who was the Fairness Commissioner in 2013, called on regulators and the government to work together to boost the process of eliminating barriers. She wrote about how immigrants grapple "with a licensing system that undervalues their international qualifications and underrates their overseas experience." India had the highest number of applicants (3,579 applications) to Ontario’s regulated professions/trades with Philippines in the second place (1,602 applicants) followed by the United Kingdom (824) in 2017. The OFC ‘regulates the regulator’ and monitors its registration practices. Its goal is to ensure that there are no unnecessary barriers preventing qualified persons in regulated professions from practising in Ontario. The OFC regulates 40 professions, of which 13 still have some sort of ‘Canadian experience’ requirement. These apply to architects, dieticians, engineers, engineering technologists, technicians, geoscientists, land surveyors, lawyers, midwives, pharmacists, pharmacy technicians, physicians, psychologists and The College of Trades (which has 23 trades under it). You can find detailed reports online about the challenges and the progress made so far in these regulated fields; you can also find latest news of a specific profession on the Office of the Fairness Commissioner (OFC) website. Speaking with Moneylife, Fairness Commissioner, Grant Jameson of the OFC, said he was aware of the challenges faced by foreign professionals. Since his appointment last year, he is actively looking into these issues and has also written to several regulators, asking them to demonstrate why these ‘Canadian experience’ requirements are considered necessary. Since 2007, when OFC was launched, it has scrapped the Canadian Experience requirement for teachers, dental technologists, chiropodists, and most recently, forestry professionals. Many others are in the process of making changes in that direction, says an OFC spokesperson. Unfortunately, the OFC has no authority to force regulators to change the experience requirements; it can only request them to consider alternatives. The government takes the position that professional bodies know best how to how to evaluate competency to practise a trade or profession in Canada. In a freewheeling interview with the Commissioner, Moneylife discussed the discrimination issues being faced by immigrants. While Mr Jameson said that OFC does not deal with ‘employer issues’, he acknowledges the need to moving with the times. "We have a very narrow jurisdiction to look at procedures that are employed by the professional bodies in admitting new members to their profession, and this is a particularly difficult subject. It is difficult, because these regulating bodies have often existed for decades, and in a climate where they have dealt with, exclusively or almost exclusively, with Canadian educated applicants, and they have not really moved with the times to recognize that their practices are not there (yet)," he said. Way back in 2012, an OFC report titled “A fair way to Go" mentioned how the “length of the registration process is a major source of frustration for internationally trained applicants." It also mentioned that the need for Canadian-experience was the source of the frustration and wanted regulators to work towards developing mutual recognition agreements with countries that send a large numbers of professional immigrants to Canada. So, while there is pressure to change and things are getting relatively easier for those in ‘regulated professions’ we still have a long way to go and it is best that people wanting to immigrate to Canada are aware of what to expect when they opt to live in this lovely country. From the moment during the presidential campaign that Donald Trump broke decades of precedent and declined to release his personal tax returns, the issue of Trump and the taxes he has paid (or not paid) has been the subject of widespread fascination, scrutiny and not a little controversy. That scrutiny ratcheted up significantly in recent weeks with two substantial media investigations of the tax-paying practices of Trump’s family and those of Trump in-law and White House official Jared Kushner. This week’s episode of “Trump, Inc.” brings clarity to a complex subject. It identifies three patterns in the president’s approach to taxes. First, it describes a history of ignoring norms (which, for presidential candidates, include releasing tax returns). Second, it delves into a recent New York Times investigation — which concluded that the president’s family committed “outright fraud” — to show a history of breaking tax rules. Finally, it examines Trump’s ability to change tax rules to benefit himself and his wealthy peers. Listen to “Trump, Inc.” and find out why. In November 2007, The Wall Street Journal infuriated Donald Trump with an article that dissected his recent real estate setbacks. Headlined “Stalled Condo Projects Tarnish Trump’s Name,” the report raised doubt about what the mogul treasured — and banked on — most in business: the value of his personal brand. Trump’s reaction offers another capsule of his habit of twisting the truth regarding his real estate deals — one of the patterns revealed in a recent ProPublica and WNYC investigation, “Pump and Trump,” which focused on a deal in Panama. That article concluded that, contrary to the Trumps’ longtime claims that they merely licensed their name, they were deeply involved in their deals. The patterns include the Trump Organization’s decision to team with an inexperienced group of developers — led by a former professional wrestler, in this instance — who planned to construct a 52-story tower on a parcel that they belatedly discovered couldn’t support such a structure without millions of dollars in extra work. The patterns also involved false statements by Trump claiming he had an ownership stake in the development. And they included Trump’s claims that the project was sold out — which were contradicted by a letter in which he notified the developers that they were in violation of their licensing agreement because they had sold less than 70 percent of the units. Finally, there were hefty potential fees for Trump, a beneficial insider deal for his son and plenty of evidence that the Trump Organization’s involvement — including failed efforts to rescue the development — extended far beyond the use of the Trump name. The Trump Organization did not respond to a detailed list of questions provided to it, nor did a White House spokesperson.